The game’s intro was for me one of the strongest things going in for it, you get fanservice like you wouldn’t expect, and what it could mean explodes like a tree of possibilities in front of your eyes. 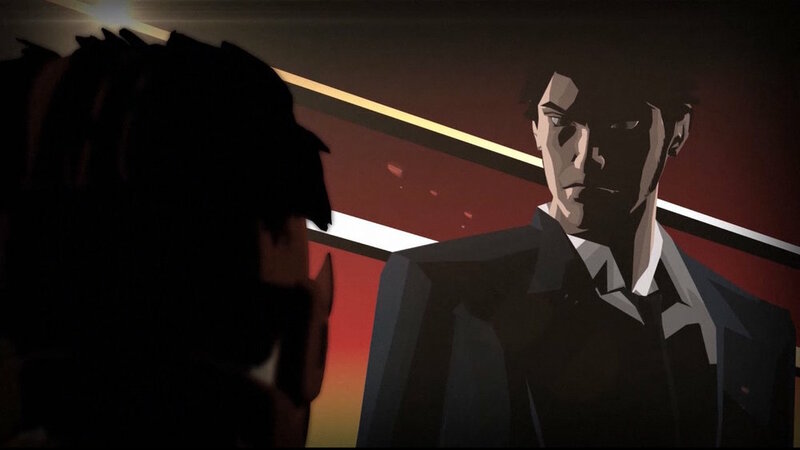 Seeing Dan Smith bring information to Badman at the Celtic Apartment building from the first stage in Killer7 was completely insane. TSA is tying up the Suda-verse in many ways, but ultimately this is all a cheap trick. 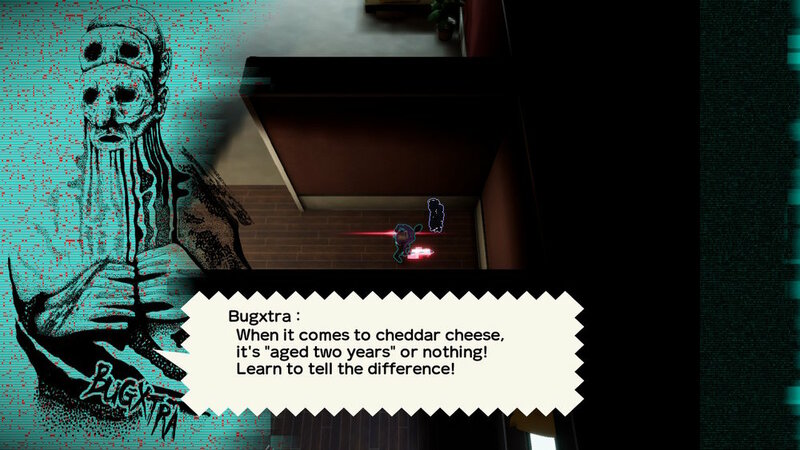 You get stuff from many of Suda’s games like The Silver Case and Shadows Of The Damned, but ultimately it’s all for nothing, stuff from the intro doesn’t go anywhere and this game’s initial story beat is so quickly abandoned it almost turned me off instantly. You see, there is a mythical game machine called the Death Drive MK2, if you find and beat all seven games, you’ll get a wish granted. 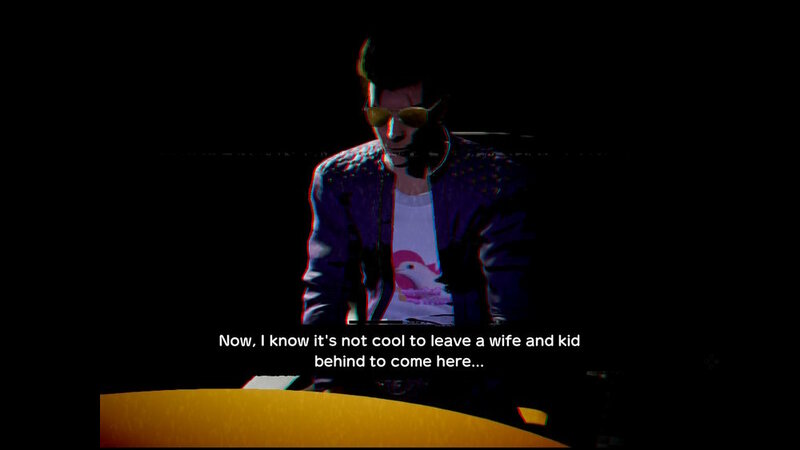 Badman, the father of Bad Girl from No More Heroes 1, wants to get revenge on Travis for killing her and he also wants to resurrect her using the Death Balls. 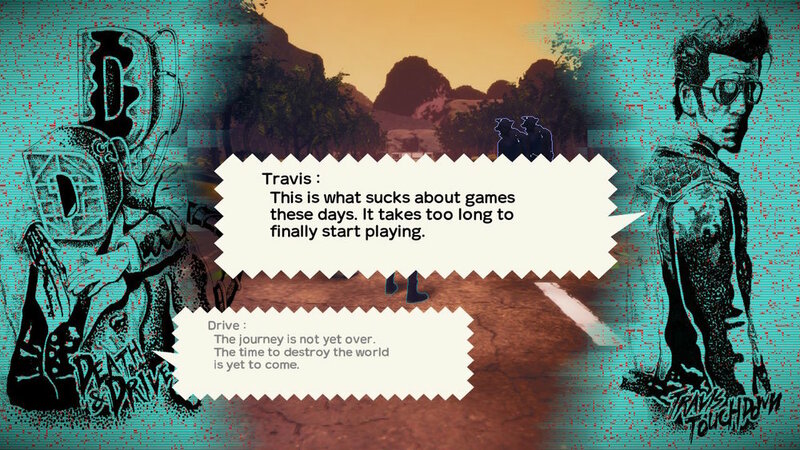 The game starts with him finding Travis in his trailer, which culminates in a fight where they get sucked into the Death Drive console and need to play the games to continue. They have no reason to cooperate, but any animosity between them immediately disappears after this intro sequence. 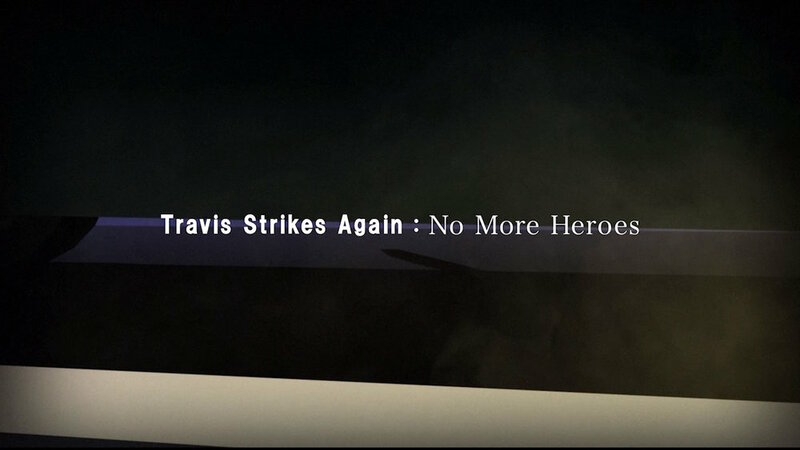 Badman never tries anything against Travis again and Travis just goes along with collecting balls and trying to resurrect Bad Girl, why was Travis Collecting the balls in the first place? Why are these two enemies co-op buddies now? Why have that plotline in there in the first place? 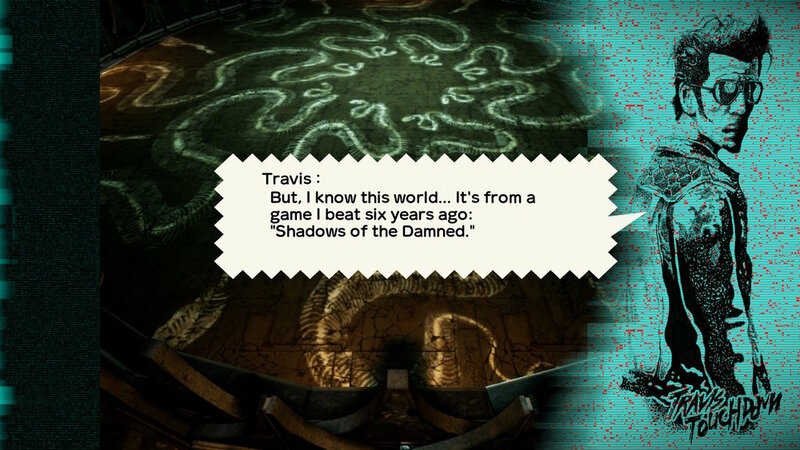 Then the game starts and you’re thrown into the first level, which is an action hack-and-slash… Well, actually, that’s another of my problems with the game, they’re all action hack-and-slash minigames. Each level has a small (very small) gimmick, but it’s still stacked on top of the same hack-and-slash mechanics and every idea is used about twice as much as it should be. 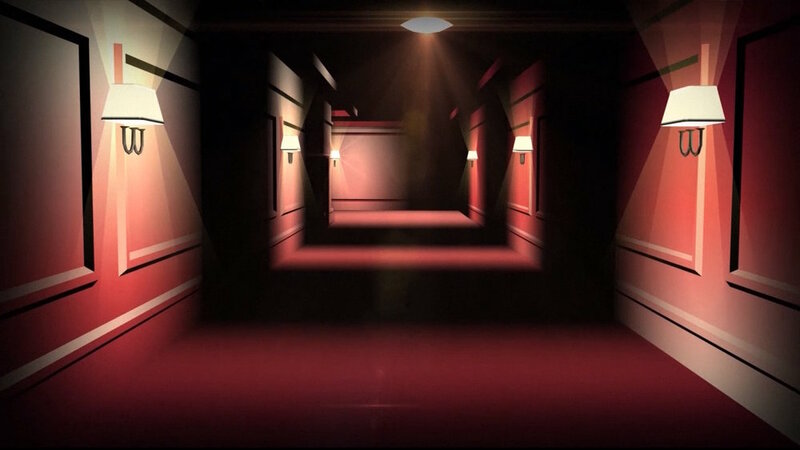 The second level has puzzle sections where you rotate tiles and then fight inside a house, with a added hazard to make the puzzle section more tense, but it lasts for ten whole sections while you’re bored of it after five. The third level has platforming segments intertwined with the exploration of a mansion but the platforming is terrible and you get the same dialogue four times as you ‘solve’ the mystery. The fourth game is a racing game with four racing segments that only involve changing gears as fast as you can (you have to load in and out of them, so losing is extra frustrating) mixed with some hack-and-slash, the fifth game is a joke about unfinished games (so there’s one less game to play) the sixth one is based on Shadows of the Damned, but it’s still just an hack-and-slash and the seventh is based on Hotline Miami, but it’s really just a series of extremely bland corridors with no scenery and waves of enemies to defeat. The combat itself is so-so. You have two moves, strong and light attacks. You can also perform them in the air for two other effects. Holding the light attack button swings your sword around so you can do it while moving. You can also perform dodge rolls and attacks dealt immediately after dodging are a bit stronger. You also have four slots for special moves with cooldowns that you pick up during the game. They go from ranged attacks to timed buffs and some other stuff in-between. 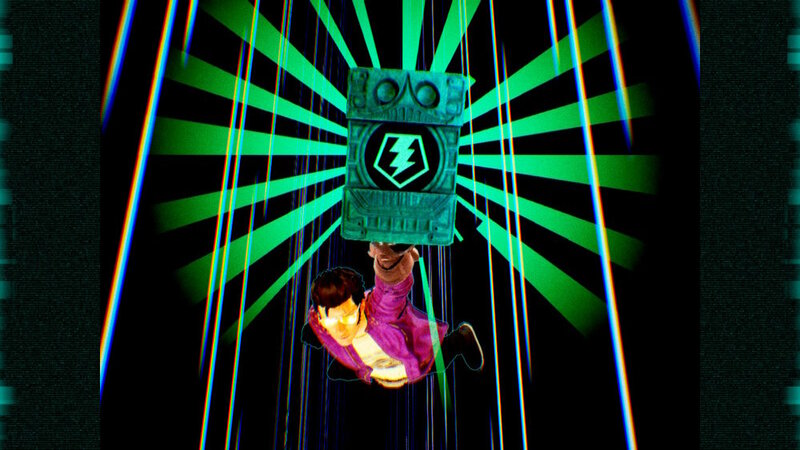 By hitting enemies you charge up a meter which allows you to unleash powerful finishers - this drains if you get hit - but swinging your weapon also drains your battery, which you need to recharge. 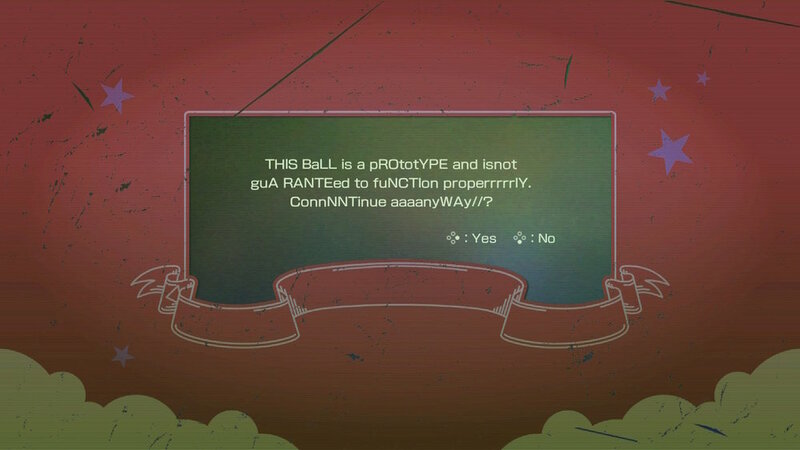 This battle system almost immediately gets stale. My biggest gripe with it is the lack of invincibility frames and no way to recover from knockdowns, which take way too long and are way frustrating. I found maybe one or two really cool special abilities, but otherwise you never unlock anything new. You can level your attack and health with experience gleamed from defeating enemies but this doesn’t feel like having any impact on the gameplay. The enemies themselves seemed interesting at first glance, they’re introduced like Heaven Smile are in Killer7, they all have pun names and they -seem- to be all doing different stuff, like firing projectiles, creating auras that buff enemies around, exploding after a while, but the game plays so zoomed out at times that you just don’t know what enemies will do. Some of them are easy to pick apart - like the exploding ones - but when you’re fighting against twenty of them, strategy goes right out the window and you can usually just brute force your way through. Some enemies seem really formidable with special moves and the ability to block your hits but by the end I just couldn’t care less. The minibosses are laughably forgettable and the bosses are passable. 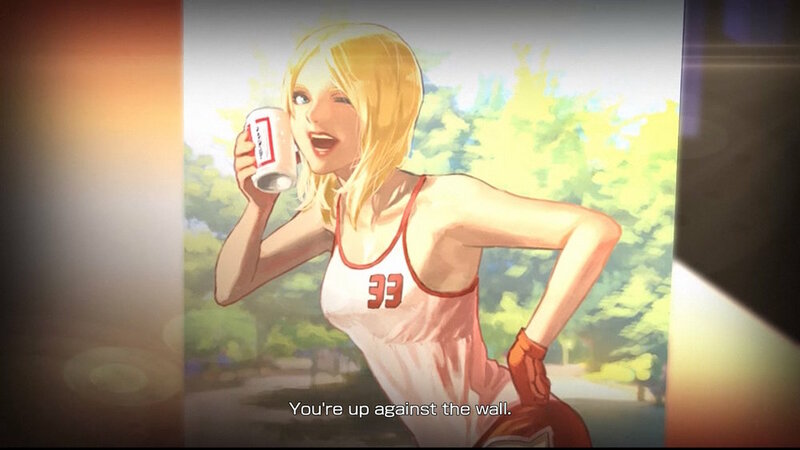 Usually in No More Heroes, bosses are supposed to be memorable adversaries, here they aren’t really that good. You encounter each of them the same way, with a small dialogue in a featureless void, then you fight - the fights go by way too quickly - and that’s it. 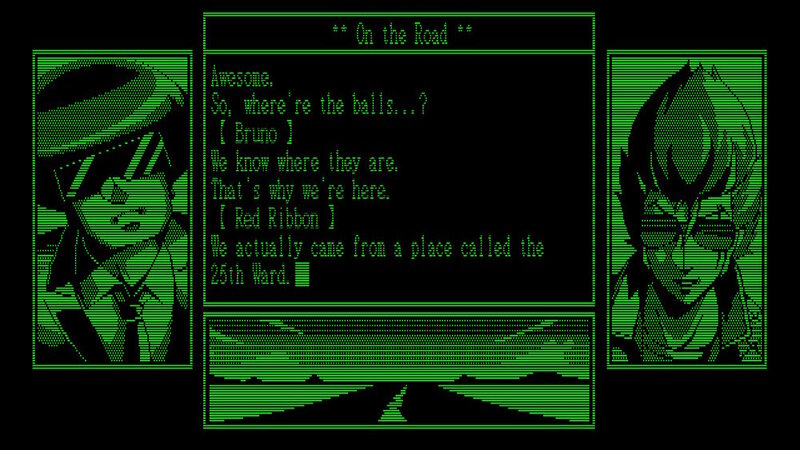 The game dumps most of its story through an old-timey visual novel text interface with many references to other Suda games. In theory I’m fine with it, in practice there’s too much of it in here. 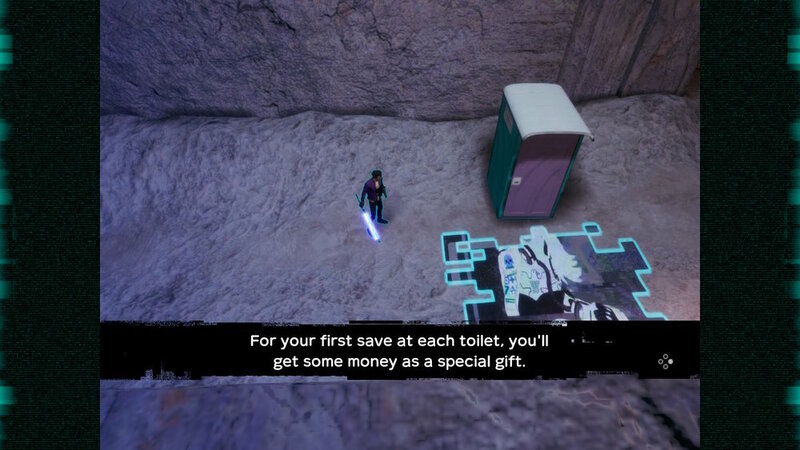 I understand wanting to cut costs or show another style of game, so you go with the easy text-based option, but it rubs me extremely the wrong way in the ‘show, don’t tell’ department. This game is full of these situations where characters talk about more interesting things that occur -outside- of the game. Like Travis having a wife and daughter. Why couldn’t TSA be only about TSA? There’s plenty you can tell about the world of video games and what the characters think about them, no need to allude to stuff that might never pan out. 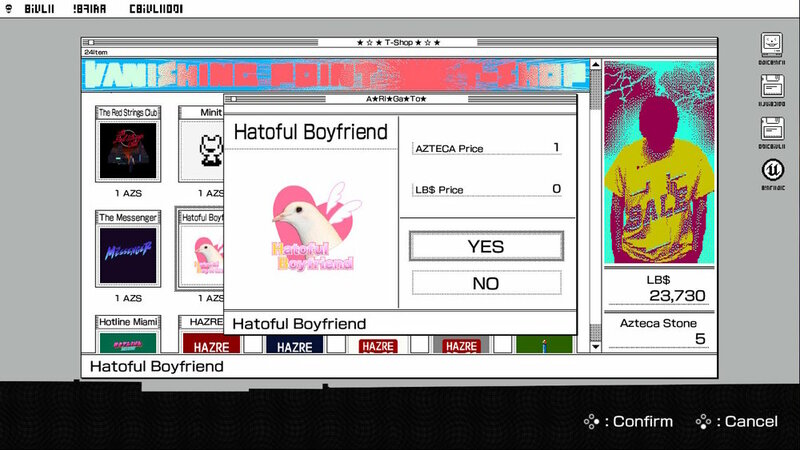 The random NPCs you meet are okay, they remind me of remnant psyches from Killer7, I especially like Bugxtra. 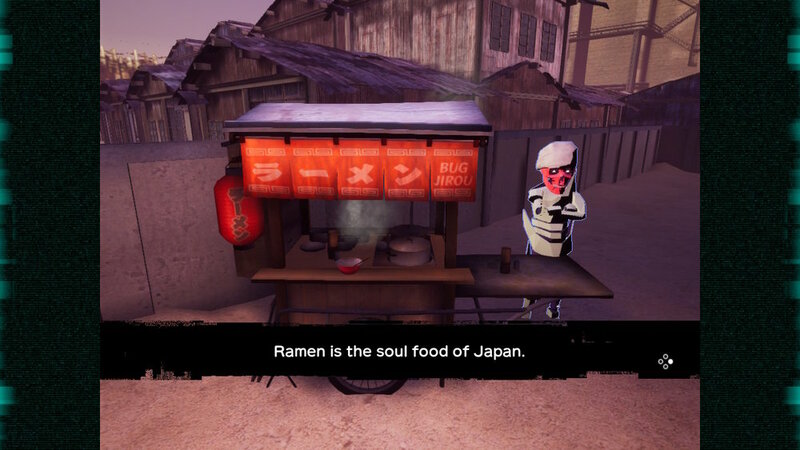 This game is also full full of little flavor texts like the ramen reviews travis makes on his blog and the game magazines you unlock by going through the game - although these hidden cheat codes are a bit silly since they’re always the same and you need to literally take a screenshot and look at it in your Switch gallery if you want to unlock everything, I wish it was something in-game. You get money and special coins in the game and all they’re used for is to buy new shirts. They’re cool shirts, don’t get me wrong, but I changed them maybe twice because it does nothing and you have to go through a few load screens to get them changed, you also have to find Jeanne in each level with some clues and that’s also just busywork, the reward isn’t that great. I wish you could buy something more impactful than shirts. 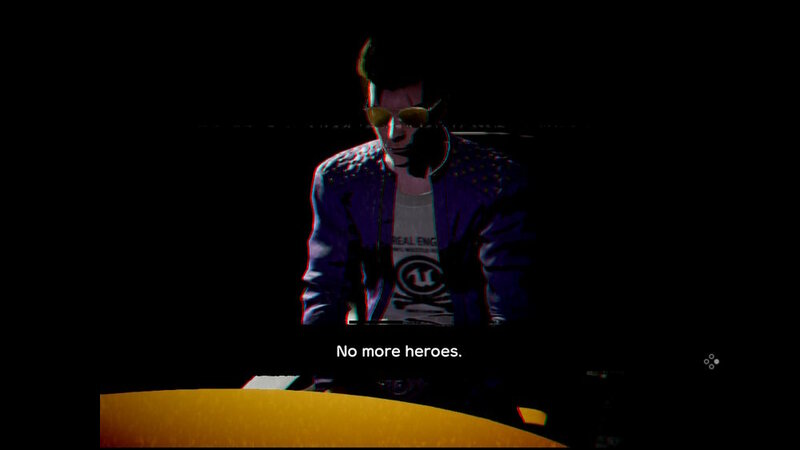 I didn’t really enjoy Travis Strikes Again: No More Heroes, and that bums me out, I think what disappointed me most are the end-of-level cutscenes. They’re shown as if they were VHS tapes of interviews being played back with Travis talking about the level he just completed. 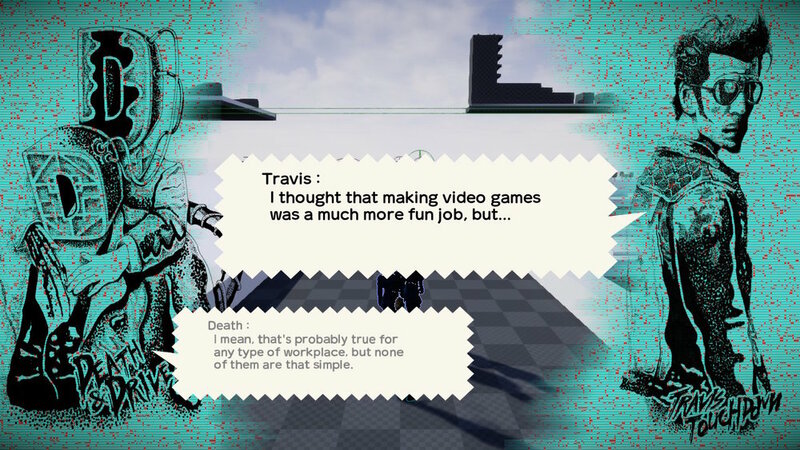 They’re fairly interesting and develop the character a bit, so I was curious to see what Badman (and the recently released Shinobu) would say during these post-level interviews; Nothing, you still see Travis talk even if he wasn’t in the level you just played at all. why do this? Why have multiple characters? 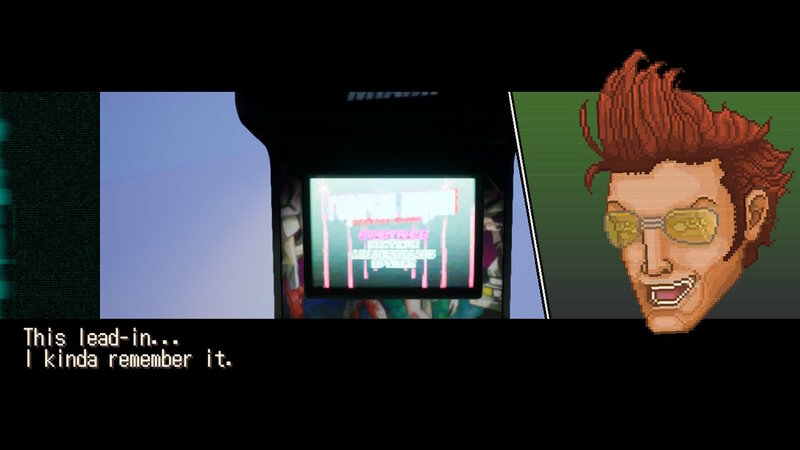 Why not focus more on what this game -is- and not what it -could mean possibly in the grander NMH universe-?